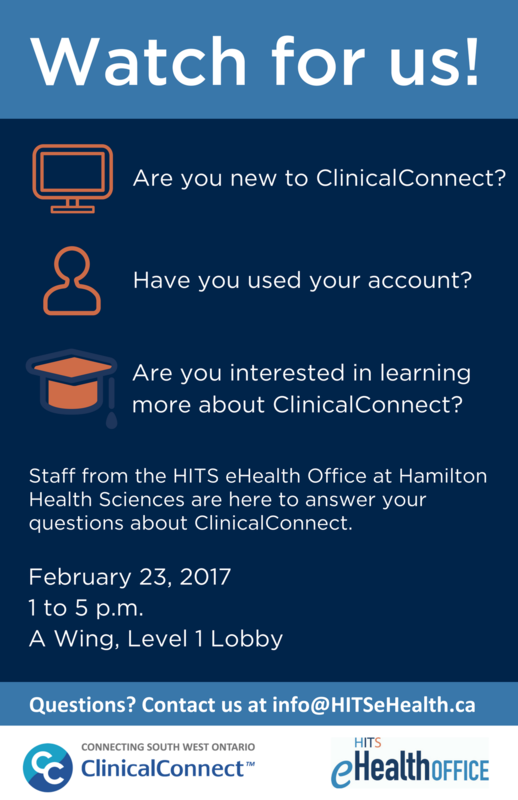 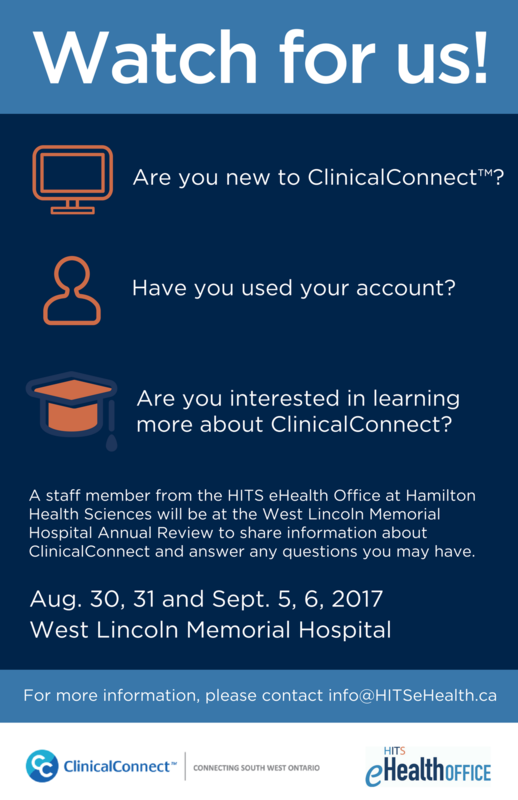 These are information flyers that I designed to promote ClinicalConnect and support the HITS eHealth Office‘s promotion and onboarding efforts at healthcare organizations. 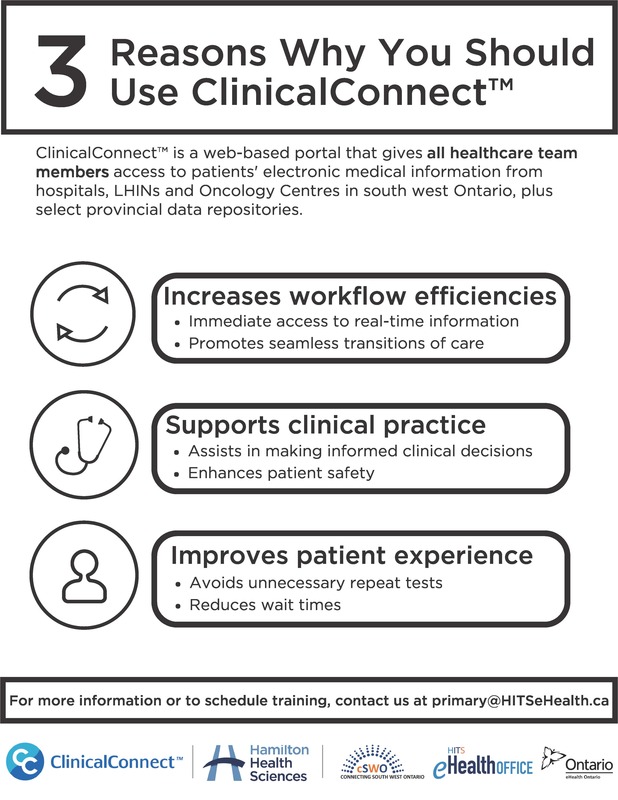 This involved collaborating with the office’s Change Management and Adoption Delivery Partner team to determine content, providing initial drafts, making revisions based on feedback and ensuring that the documents aligned with the office’s branding guidelines. 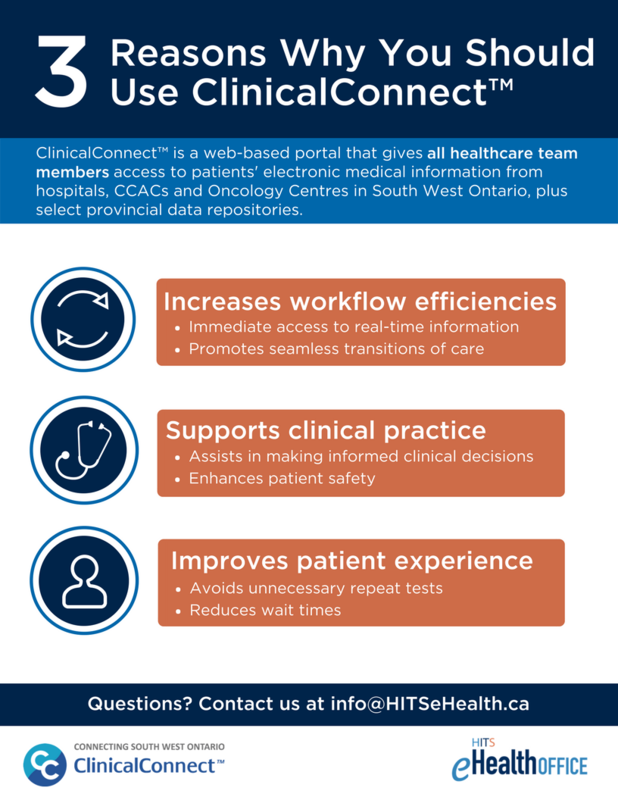 The flyers have been used at information kiosks by HITS eHealth Office staff and shared electronically, resulting in increased awareness of the ClinicalConnect solution and the HITS eHealth Office’s role in delivering the solution.